Wait, what? Yep, you read it right. For Business Reasons, we’re changing the name of the game to Starsector. All I can say about it is this will not have any impact on how things proceed around here – these things happen to projects from time to time, and I hope that everyone will be on board with the change. (If you’re not, my apologies. If you are, thank you for your continued support!) Personally, I’m looking forward to moving ahead with the new name, and am very excited about the future. Onward to what’s new in 0.54.1a. It’s a bugfix and polish release, much like the other .1 releases that follow up a major one. Unlike those, though, it’s taken over a month to put out. That’s the case for two reasons. One, the name change took some extra doing. Two, the 0.54a release was stable enough that there was no urgency in putting this version out – so, we’ve been able to work on the campaign design and do some prototyping along the way, laying down some groundwork for the next major release. You can find the full patch notes here. Please download the new version using the links below. This entry was posted on Friday, January 4th, 2013 at 8:33 pm	and is filed under Releases. You can follow any responses to this entry through the RSS 2.0 feed. Both comments and pings are currently closed. Woo, another update. I’m sure if anything the name change will enhance the quality of the game. Huh. Name change. Because it’s for “Business Reasons” I’m going to guess that there wasn’t much choice in the matter, but I’m not sure how I feel about the new name… I’ll have to give it more time to see if it grows on me. Could you give a little more detail on what exactly the reasons were? I’m fine with the name change, it really doesn’t make much of a difference in the grand scheme of things, but still, I ask simply out of curiosity. Was it a copyright issue, or something else? who told me that the dumber the AI, the happier the players? never mind, I don’t really care. Funny I was thinking of checking if there were any updates and boom! Update and game name change, woah. Also add me to the curios ppl list about that “business reasons” cuz Starsector is nice, but Starfare was awesome. Starfarer was a good name in my opinion – it flowed, it seemed a bit ‘romantic’… or maybe mystique. Or intrigue. Whatever it was it had it. It embodied the game for me. I understand that you’ve had to change the name and probably had little choice (I’m another curious one there ) but, well… I just feel this name does not grab and does not have the same impact or feeling as the old one did. What if there were a poll to decide on the new one? (sorry if this has happened on the forums, I don’t really check there much). I did some research (google) and found a few things about starfarer…I see why Alex changed the name. http://www.starfarer.com which was created since, 1999 and some other people using the name. You don’t really have to ask Alex, just google it and you can see why he had to change the name. Spacefarer sounds better than starsector, imo. I am sure other people can think up better names. I for one welcome our new name. I like it. It seems a tad more fitting imho. The name blows, ah well, I guess the people who made Catan might sue your socks off. I’m not too concerned about the name change, because I’m just going to keep around the old graphics files that say Starfarer to copy them over the new one. The game will always be Starfarer to me, and Business Reasons will not stop me. This game is near and dear to my heart, and a simple name change won’t make things different. i dont know why but i cant open the file i dont the the permission for some reason, help someone? @SadDemon: you don’t have Norton, do you? If you do, turning it off temporarily might help. If it’s a permissions issue, running as admin may help as well. will try that out, thank! a shame you had to change the name. I quite liked it! Apart from that, “Spacefarer” as suggested in this thread does indeed sound more intriguing than “Starsector”, which is… sorta too technical for my tastes. You might want to reconsider. The new name sounds a bit more cheesy but sounds somewhat more commercial as well. Apart from that, I do not care. The game is sweet, that’s all I need. 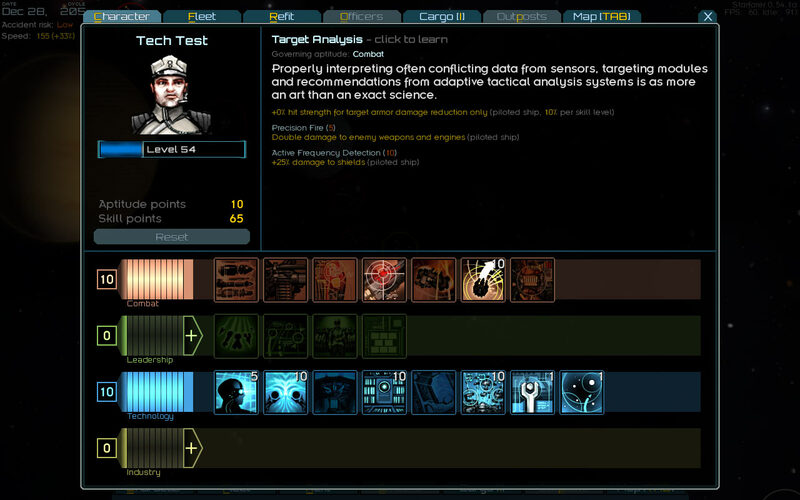 I have to say, I’m quite disappointed by the decision to change names to something as… clinical as Starsector. I’ve always loved the whimsicality and mystique of the original name and I do hope that there’s more than a single sector in the near future, which would render this name obsolete in turn… Maybe Alex could contact that other group and settle something, or at the very least we could pick a cooler name? Guys, is anyone else getting a virus warning (suspicious.Mystic) while trying to install the new version? @Brad: Norton seems to have flagged the download as a virus. It ends up doing this with most versions, for some reason – something it doesn’t like about installers made using NSIS, perhaps. If you could report this to them as a false positive, I’d appreciate it. @Nick: Well, the game takes place inside a single sector – but that sector has many star systems within it. This game looks fantastic. Nice job guys ! The name Starsector doesn’t make a lot of sense to me, regardless of context. First of all, it doesn’t seem to work as a single word as well as Starfarer did. Star Sector might make a bit more sense, though it still sounds somewhat clinical. It also changes the focus from someone traveling through space to simply an area of space. Don’t have any other suggestions at the moment, or maybe you wouldn’t even be able to change the name if you wanted to. I will likely buy the game regardless of what it’s called, but so far, I’m not sure I like the change. Btw – running “starsector.bat” from the commandline may be worth a shot, just to see if that works. Reported it to Norton, told them site name as trusted (least since I bought the game back in November) Name doesnt bother me btw keep going with the important stuff guys. The game is awesome! I just can’t like the new name. Starfarer had a kind of romantic ring to it, Starsector feels too clinical.. I agree Spacefarer would have been a better pick. I still love the game(Easily over 500hrs playtime) and will definitely continue to support it though, just to be clear. But at this point it will continue to be Starfarer to me. Also love the game very much and the combat feels really really great. The one thing I disslike about it and that is that if you use for exampel the point defense turret that have 1 360degree of targeting with all 4 turents. I really like shooting but I hardly use it becouse if you have units around you, you can´t really attack them becouse you only have one mouse. What I would like (don`t know if there are any plans on this already) is that if you put autfire on then the turrents that can´t target the mouse position autofire on target. so you can still fire all but the ones that are “worthless” are in autofire insted of just waiting for the mouse to come around. You can make it a skill so you dont have every wepon linked to same. but you can make a skill like 1 fire per skillpoint ect. Hello Alex, this is my first time posting but I’ve been enjoying your game for a while now. I play many indie games both beta and full releases and yours stands apart as the one I most enjoy playing and am most anticipating seeing completed. With that out of the way I have a suggestion: host a community event to come up with a new name. @Christopher: Thank you, I appreciate your support! As far as your suggestion: the name change was quite a lot of work, the decision to make it wasn’t taken lightly, and it’s very much final. curious as to why you didn’t put it to a vote, involve the community etc? Hey Alex, you forgot to change the names and graphics of the files in graphics/ui ! Didn’t forget, just not changing those No reason to, it’s not player-facing. Ah, okay. (I use those for the application drawer on my desktop). Sorry, can’t do that. The UI sounds are still in the process of being worked on, though. @Alex In terms of gameplay I actually don´t think it will be a problem when you get the feel of it and if you don´t want to use it then it´s just to turn of autfire. Aslong as the mouse is inside of the arc (not in the range though becouse that would be much much harder)in terms of programing I don´t know if thas´s possible or to hard ect. sins I have no clue about thet sort of thing. As an avid gamer and self professed space nerd I’ve come to really love this game. The combat is intuitive and frankly quite awesome. It’s well thought out and I notice new features every day that I log on. A couple of minor gripes however. The big one is a recurring bug where I will enter a battle with a fleet size >30 points and the background will white out. Models such as ships asteroids objectives and nebula remain visible. However shots fired from weapons are almost always obscured and the effect persists into the campaign screen and to the title screen. Rebooting the game fixes the problem. Although it is irritating. Secondly if anything comes up that requires my computer to minimize the game then I can no longer return it to full screen mode without a game reboot. I understand that the game is still in alpha nd for the most part I love what you have done with the game I just though you would appreciate the feedback. Will you be able to have multiple fleets out at same time also will you ba able to own space station that will get under attacked ect by pirates or things like that? Also will you make larger class ships like titians for example? @Lucian: Thanks for the reports! The white background issue has been brought up on the forum the other day. I can’t reproduce it (probably driver/video card related), but think there’s a good possibility it’s now fixed. As to the minimizing issue – I’d make sure your drivers are up-to-date. Tabbing in and out works fine (except for on a Mac, but that’s another story), and there’s nothing special that the game ought to be doing/not doing to support that. I love the weapons and weapon types in the game. However many of the weapons, such as the pd laser, and the lr pd laser, appear to be easily outmatched by their big brother the burst pd laser. Similarly the railgun/autocannon/mg progressions are very linear and there is no reason to have those weapons on a larger ship if it can mount their big brothers. Especially as the vulcan gun/burst pd laser are excellent point defense weapons as they are. I guess what I’m trying to say is that once you have the bigger guns there’s no point going back. For instance I have a level 42 commander with all the upgrades I can feasibly get to upgrade ship performance without going into missiles (more on missiles later). That commander has only a single Oddessy class Capitol ship and by and by large I feel I have the best/most efficient weapons mount that I can by. And I can engage Hegemony system defense fleets solo and regularly win with only minor hull damage. The point is that I have the best guns equipped (As I see it) and there is no reason for me to by other ships or equip different weapons after I stumbled upon this load out. Perhaps giving the weapons more overall balance would contribute to a game play that has a greater lifespan. Because at the moment I can beat every fleet in the sector solo. Which is a bit of a let down. In short: Weapons such as the Burst PD laser, auto pulse laser and plasma cannon. Are very very good. So god in fact that most other weapons can’t even draw a bead on them. Again I don’t know if this is deliberate or not, but I very much hope that it isn’t. For instance the small energy weapon mounts designed for point defense should all be about on par with each other on different ways. The Burst pd laser is clearly meant to fire a lot of shots quickly then recharge. Perhaps make the recharge longer. the pd laser needs to be somewhat more damaging or have a faster turret rotation. (Even on my Oddessy with advanced turret gyro’s i find that a collection of pd lasers and indeed the long ranged variant. Are either too weak or too slow to turn, sometimes a combination of both. And the Burst pd laser which can be accessed right at the start of the game easily over powers them. This means that I do not have to use either of those two starting weapons. And indeed early game the railgun breaks the balance system as a lasher class with three railgun turrets is nigh unstoppable to other frigates. On a similar note the vulcan cannon/gun/thing is the only small sized ballistic point defense, which makes it an obvious choice for ballistic mounts. Perhaps some variation? Ballistic weapons are by and by large pretty good. A couple of minor issues however. The mass driver and it’s big brother need upgrades. They deal far to little damage for the amount of flux produced. And the mg line feels obsolete when compared to the needler line/assault gun line/autocannon line. Finally large ballistic weapons as a whole need a damage increase. Almost without fail a well equipped ballistic gunboat in the frigate/destroyer/cruiser classes will be absolutely obliterated by a well equipped energy gunboat. I think this has something to do with the three types of ballistic weapons and having to find a balance of them on any particular ship. I find that often the only way to run ballistic ships is to have them mounted with as many shield overwhelming weapons as I can afford and then surround them with fighters to deal with the hull. And this feels like a let down. When the concept that you have of the weapons is so fantastic. As whole if the weapons are going to be more varied for their roles and then all of the weapons need a damage increase or be less draining on flux. For the Most part I’m happy with these. They all have thier roles and for the most part they do their job. Obviously the pd weapons I mentioned earlier are a big bugbear. But additionally the Guardian pd system seems somewhat pointless. It is a competant pd system for what it does. But it falters completely when faced with anything else. And can be easily replaced by burst pd lasers or heavy(medium?) burst pd lasers for equal or better effect. Perhaps an emp effect needs to be added to justify it taking up a heavy energy weapon slot? Idk but as it is it has no place on any ship worth it’s salt. Tacyon lances. My god are these guns awesome. If only they worked as advertised. The only thing stopping this weapon from being my favorite in the entire game is the fact that enemy ship’s raise their shields as soon as the weapon points their way. Which make’s it’s amazing range useless as it cant deal with shields at all. And I cant blame them because if that thing does get a bead on an unshielded ship then it’s screwed. At the end of the day there needs to be a reason for it to have such a long range. because at the moment all it does is strips my 0% flux speed boost. Other than that energy weapons are pretty damn good. Good job. I’m not going to lie, I don’t use missiles a lot. But that’s because they are kind of broken. Early game missiles can be competent. When the ships they are going up against are for the most part undefended by decent shielding and/or pd systems. But as soon as you start going up against destroyers the weapons loose all kind of charm. Especially against the tri Tacyon people. Because they cant cope with shields, even the ones who say they can. And at that stage they get slaughtered by pd systems or wasted on fighters. Even the ones that are devastatingly effective. The hurricane MIRV and that massive torpedo which i cant remember the name of. Are outclassed by ballistic or energy weapons of the same size and are often either cheaper, or flat out better. Ultimately missiles as a whole need an overhaul. In their current state I treat any hull with a majority of missile weapon mounts as effectively unusable. For the most part you have done a wonderful job here. Truly awesome. Until I want to get a particular type of hull, such as an astral class, onslaught class, Oddessy class, paragon class. The capital ships and cruisers in short. Essentially they aren’t there for me to buy. After the Oddessy class my favorite hull in the game is the paragon class. My god is it awesome. But I’ve grinded 40ish levels on the most recent patch and still no Paragon class hull in the Tri Tacyon HQ. And frankly it’s starting to bug me. I don’t know how to fix this and keep game balance but it is definitely something to think about. One last thing is that Capital hulls that use ballistic weapons primarily are completely outclassed by energy weapon hulls that are simply better. Because of the weapons. The Onslaught class and the catamaran style hull which I have forgotten the name of should be able to go toe to toe with an Oddessy or paragon and win at least fifty percent of the time with good weapons mounts. But eve will full perks and a fantastic load out of guns and hull mods i can barely dent a well armed paragon or Oddessy class in a simulation. And I sure as hell know that the load out I have for my Oddessy hands Onslaught class vessels back to their admirals on a silver platter wrecked and broken. Better ballistic gun balance will almost certainly fix this. Nothing to say here. As far as I can tell they are excellent. If perhaps a touch over priced for capital ships. But no real gripe as I said before my current capital is fine even with some of the most expensive hull mods so yes well done here indeed. Wow, just wow. The UI in this game is amazing, ten or fifteen times better than the best AAA games I have played. Amazing work. Flawless battle controls, unbelievably tight, fantastically precise and forgiving campaign controls and user interface. Utterly amazing bravo. And physics. Well **** I can actually drift. Like the UI I cannot believe how incredible this game’s physics engine is. The drifting mechanics and other mechanics like asteroid-shield bouncing and ship to ship collisions are great. In battle boarding parties. Yes you heard me, I want my marines to be able to steam onto an enemy ship with transport shuttles and board them mid battle. Give me a reliable way to not have to decimate ships. More star systems. Yes I know it’s on the way but I thought I would point it out anyway. As it is the game’s longevity is restricted to what ships you want to get. For me the game has fantastic longevity because I still cant get a paragon class. But for people who like the onslaught hull. Or perhaps a destroyer fleet. May not get as much enjoyment out of the game on a long term basis. Anyhoo that’s about it from me. And remember this game is by my personal opinion. Amazing. Best of the year and it gets better with every update. There is nothing in this game that prevents me from getting enjoyment out of it and for the most part you have done a wonderful job. Your art style is truly engaging and you make me want to keep coming back and decimating everything in my path. Well done! I look forward to future updates. I just did a manual test of three guardian pd systems mounted on my Oddessy class. and then filling up the small weapon mounts with burst pd lasers. (The total of which was cheaper than the guardians btw). These load outs were run against as many fighters as I could have the simulation field at once. The Guardian PD laser systems destroyed three talon wings and a broadsword wing, and required one vent and one overheat to do so. I died shortly thereafter. The burst pd lasers destroyed all the fighters and only required one vent. I survived with 65% hull remaining. Both of these tests were done with zero flux capacitors and zero flux vents and finally no hull mods to give the most raw data possible and I hope this helps. Something I also would like that I think will incresse the lifespan of the game is if you do lika an Easy mode where you don´t have accident (like early campaing patches) so you more or less can have infinity ammout off stuff in fleet and inventory which I think can be nice for when you just want to go out there and kill everything. @Lucian: Finally had a chance to read through your feedback, thank you for taking the time to share it! You know, if you post this on the forum, you’re likely to get a lively discussion going – some of these have come up before, but some I don’t think have. @Sebastian: Let me say this – I wouldn’t project into the future too much based on the *current* state of the campaign. Oh gosh, it’s been so long since the last major update, hope the next one is coming out soon, cheers to the success of this project mate! I’ll be honest, the name ‘Starfarer’ contributed to me buying your game in the first place. I thought it was mysterious. It lured me in. Starsector is a, well… Boring. No magic. Alex has already said the change is “very final.” I guess that means there’s no point in discussing it further, but I agree it’s unfortunate. That’s part of what drew me in as well. I honestly don’t know if I’d have been interested if it had been “Starsector” at the time, as it just seems like it lacks imagination and excitement. A sector of space that… has stars in it? Meh. Oh, well. At least my desktop and Steam shortuts to the game can still be labeled as “Starfarer”. Just got in big trouble with my wife for playing Vanilla 0.54.1a for 8 hours straight … starting at 10pm. Pretty much pulled an all nighter, like I was back in college again. I have to say, keeping your character level and experience is a compelling reason not to restart the game whenever I lose a bunch of ships. And I especially enjoy Iron mode (no save scumming) because it adds a certain weight to each decision. I have to make sure I don’t bite off more than I can chew with my fleet to try and keep everyone alive. Overall it’s shaping up really well Alex. Can’t wait to see what’s coming in your next big update! I’m just going to put it out there and say that I don’t like the new name. This will probably be seen by very few people, but I’d still like to give my two cents. Starfarer gave the game a sense of wonder and whimsy. It gives the impression that you play as a Seafarer, which gives you immense freedom. “Seafarer” is a very broad term. It refers to explorers, merchants, and mercenaries of, well, the sea. This makes much more sense, seeing as this game has much more in common with naval combat rather than three dimensional space combat. If you really can’t use Starfarer, then I recommend finding some other naval-related word and slapping a space sounding word onto it. Something along the lines of “Starsailor” but that seems like a game where you play a henchman, and not the commander. The new character screen makes me sad.